Get up close and personal with the world's premier motorsport by choosing a F1 Racing magazine subscription. 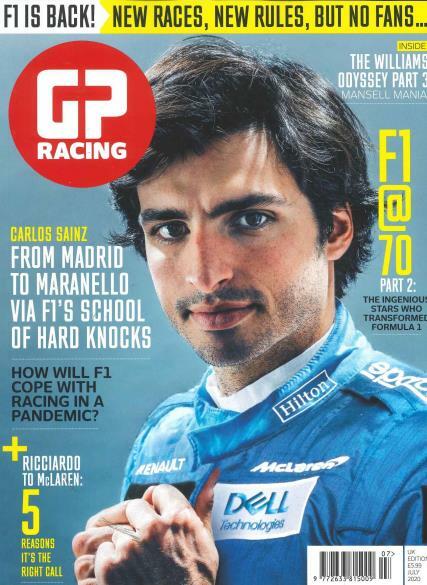 Buy a single copy or subscription to F1 Racing magazine. F1 Racing is the only magazine dedicated to the glamorous and adrenaline-fuelled sport of Formula 1. With exclusive, unrivalled coverage, no-nonsense writing, and outstanding award-winning photography, F1 Racing magazine gets right under the skin of the world's fastest sport. Experience the on-track thrill and discover what's really going on in the paddock.